Vijay Gupta, who organizes concerts for the homeless, and the other winners will receive $625,000 over five years to use as they please. 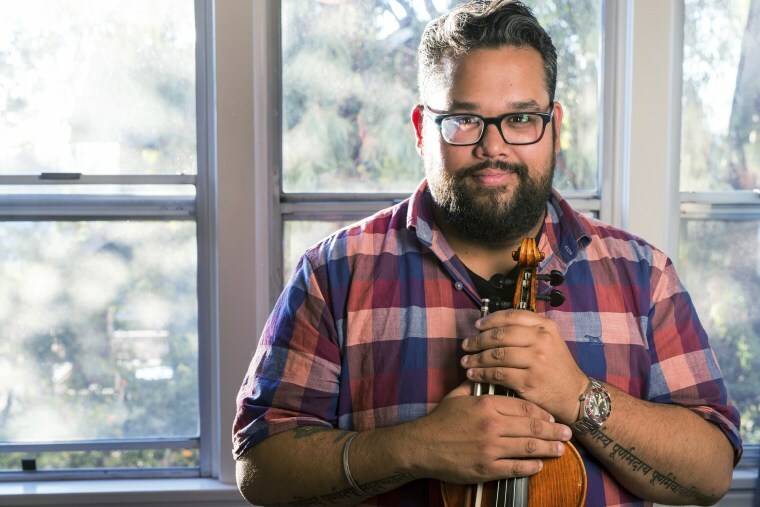 CHICAGO — A violinist who organizes concerts for the homeless, a professor whose research is being used to increase access to civil justice by poor communities and an activist pastor are among this year's MacArthur fellows and recipients of so-called genius grants. Kristina Olson, a psychologist from Seattle; Lisa Parks, a media scholar from Cambridge, Massachusetts; Allan Sly, a mathematician from Princeton, New Jersey; Sarah T. Stewart, a planetary scientist from Davis, California; Wu Tsang, a filmmaker and performance artist from New York; and Doris Tsao, a neuroscientist from Pasadena, California.